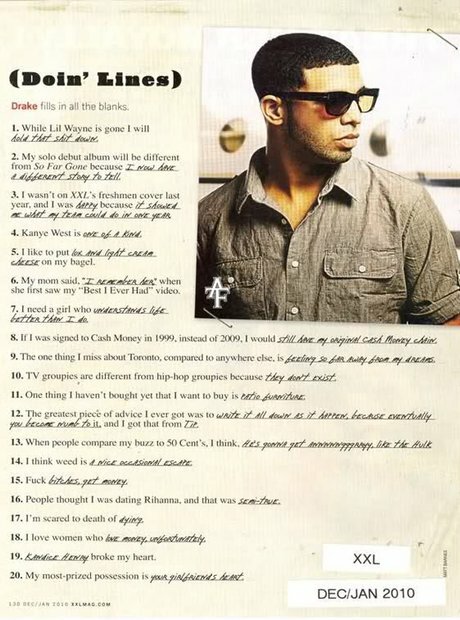 January 2010: Drake admits that he and Rihanna were 'kind of' dating. 4. January 2010: Drake admits that he and Rihanna were 'kind of' dating. He answers the 'fill-in-the-blanks' question during an interview with XXL; “People thought I was dating Rihanna and that was..." with "semi-true".